There is nothing like the feeling of accomplishment a college degree can provide. After years of books, tests and papers, finally receiving a college diploma is a milestone to be celebrated. At Stohlman Volkswagen, we want to congratulate all of our new college graduates for such a stellar accomplishment this year! Your hard work has paid off, and we want to help you begin the next steps on your journey! 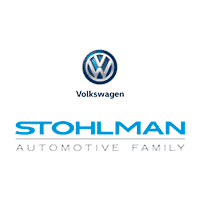 To congratulate all college graduates, Stohlman VW will pay your first month’s payment! Are you interesting in leasing? Don’t worry about the security deposit, we have that covered too! Because the transition from college, nursing or graduate school into a new school or career can be an exciting and stressful time, your vehicle is the last thing you should have to worry about. At Stohlman Volkswagen, we are happy to help ensure this time of your life is much easier than your final exams and capstone projects. Purchasing your first car can be intimidating but our sales professionals will take the time to help you understand the entire car buying process. Come join the Stohlman Family today!